If you break or lose an old dental filling or crown, it may or may not cause pain. In either case, your tooth will need to be repaired as soon as possible in order to avoid further damage to your tooth so be sure to contact your dentist as soon as you can. If your tooth is broken, gather as many pieces of it as you can. Your dentist will assess the next step for your tooth, as there may be multiple options for repair to choose from. If your tooth has a small chip, this may not require immediate attention. Contact your dentist anyway as dental bonding or smoothing may be required in order to prevent your tooth from causing irritation to your gums or other soft tissues. Time is of the essence if your tooth has been knocked out. Your dentist has the best chance of saving your tooth the faster they can treat you. Try not to handle your tooth too much and be sure not to touch the roots when transporting it. Replacing it back in its socket is the best way to transport it. You can also use milk to keep the cells moist and alive if you can’t put it back into your mouth. 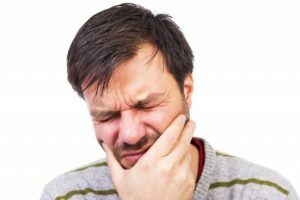 If you are experiencing a painful toothache, it’s likely that your tooth is infected. This occurs if your tooth is traumatized, fractured, or decayed. A dental infection won’t go away without treatment, so it’s important that you contact your emergency dentist in Collierville to be seen right away. If you’re proactive about seeking treatment, root canal therapy can often preserve your tooth. If left untreated, a dental infection will get worse, cause more pain, and could lead to tooth loss. Even if you’re not sure your situation is an emergency, give your dentist a call anyway. They’ll be able to advise and guide you over the phone and provide same-day care if needed. With their help and these tips, now you’ll never be caught off guard in the face of a dental emergency. Dr. Joshua A. Holcomb takes pride in building quality relationships with his patients, and he strives to provide them with exceptional dental care each day. Patients will find a wide range of dental services delivered in a warm and friendly environment when they choose Dr. Holcomb for their care, and emergency patients are always welcomed and encouraged to call him right away. If you’d like to contact Dr. Holcomb, you can reach him through his website or by calling 901-850-0300.